This winter I'm getting totally into making & wearing fun prints. Nothing helps get rid of the dullness of the cold & clouds like putting on something that makes you feel good inside and out. It's even better when you can do it together! I think this may even be the first "Mommy & me" outfits I've ever made. 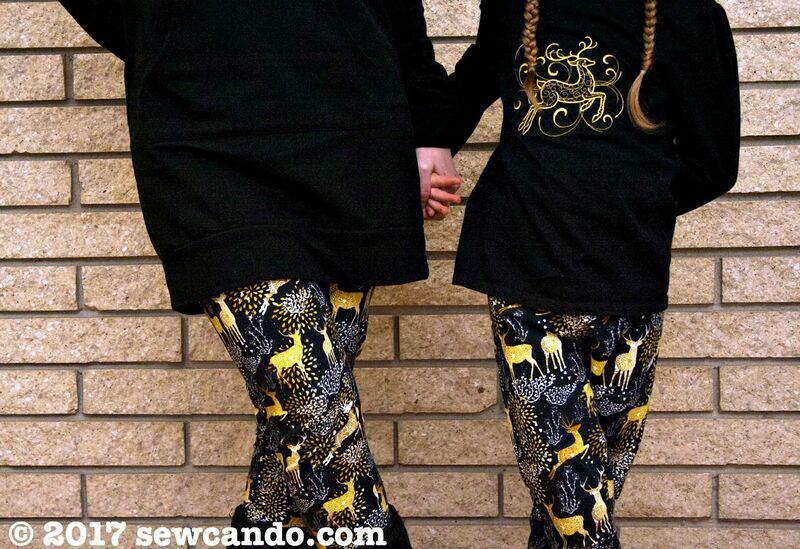 My daughter really likes the idea of us wearing matching things, so making them was a lot of fun and pretty quick since leggings are a simple sew. 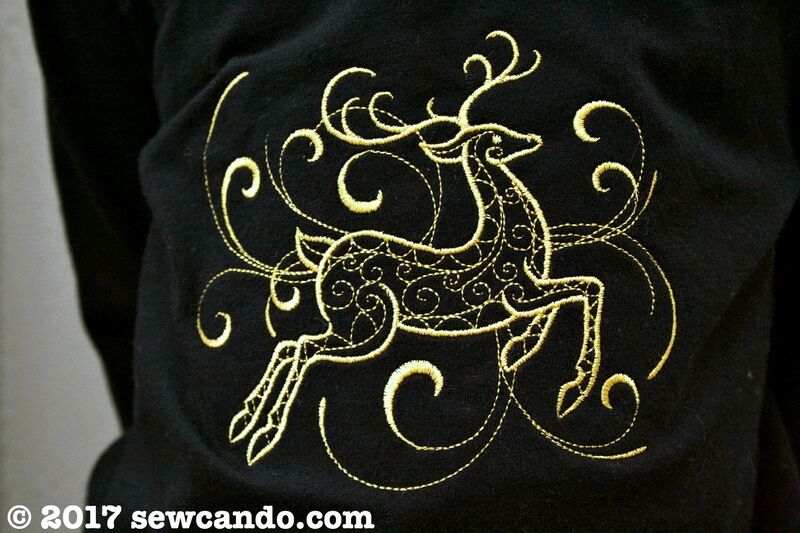 I'd bought a yard and a half of this awesome reindeer cotton lycra knit when it first was released (it's Golden Dreams by Sahara Fabrics BTW). I'd planned to make a shirt with it, but making leggings for both of us ended up being a better idea. 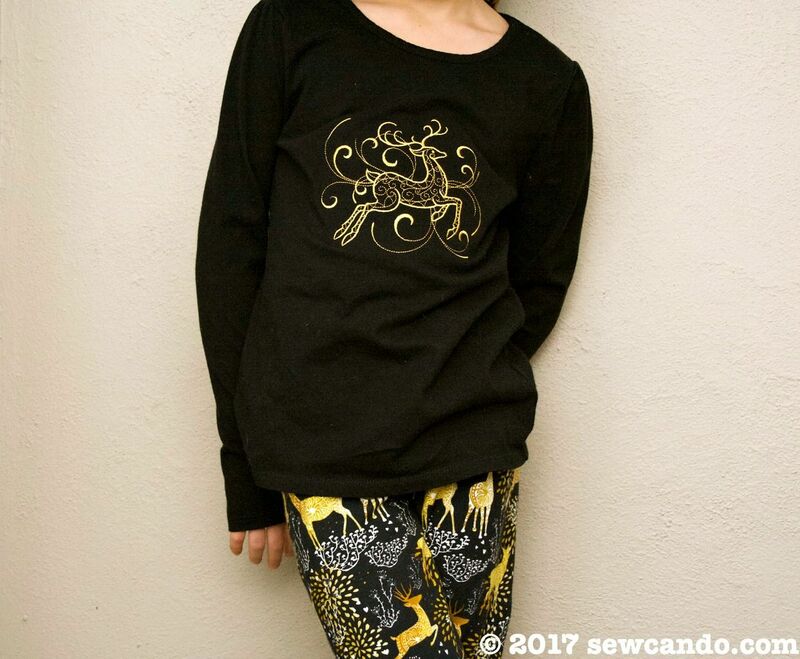 The combination of gold, yellow, black and white in the print means we can wear them with lots of different wintery tops and sweaters too. To make my pair I used McCalls 6173. They were quick to make and fit pretty well. I just lowered the rise about 5/8 inches out of personal preference. Ready for the FREE pattern part? 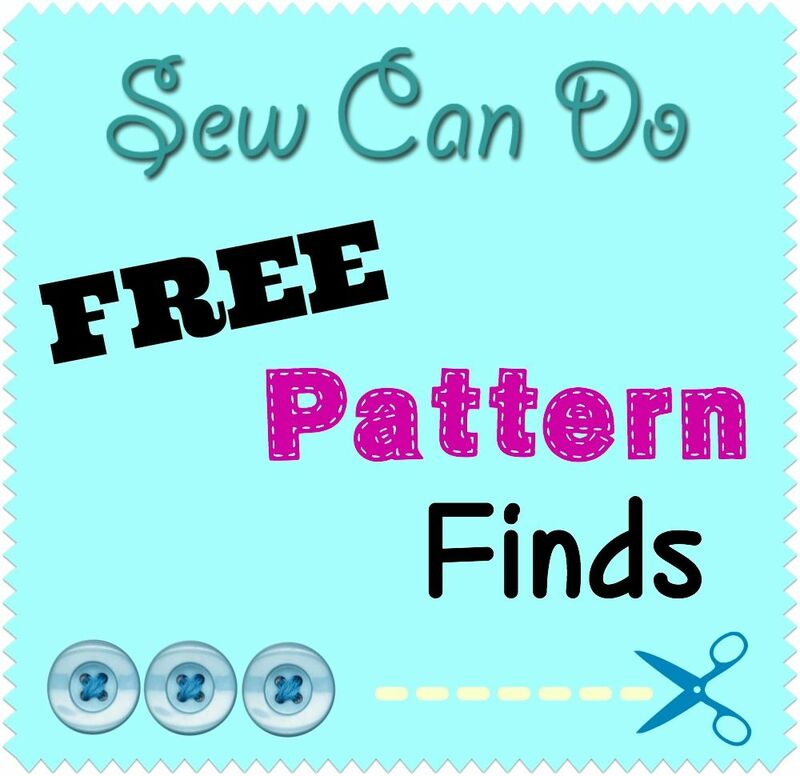 This is where I share details on a free pattern I've found and add my experience trying it out. 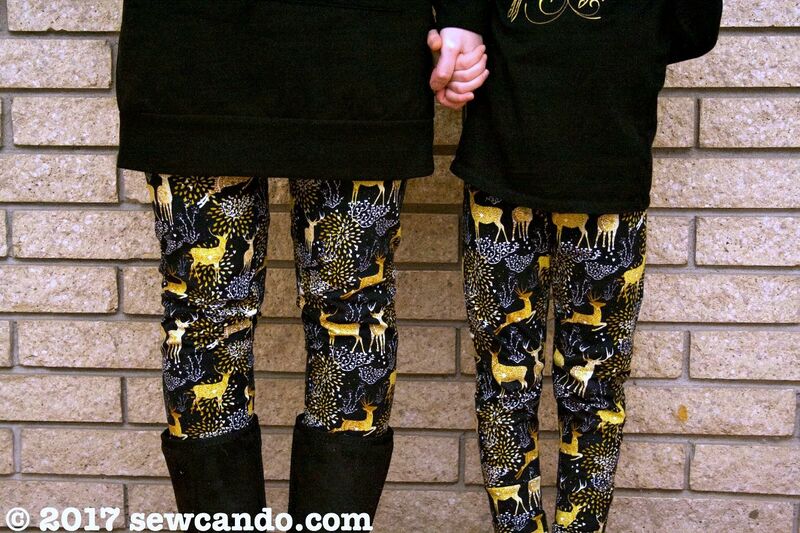 For my daughter's pair I used the Classic Leggings Pattern from Naptime Creations. It covers sizes 18 months - 12 yrs and is super easy to use. 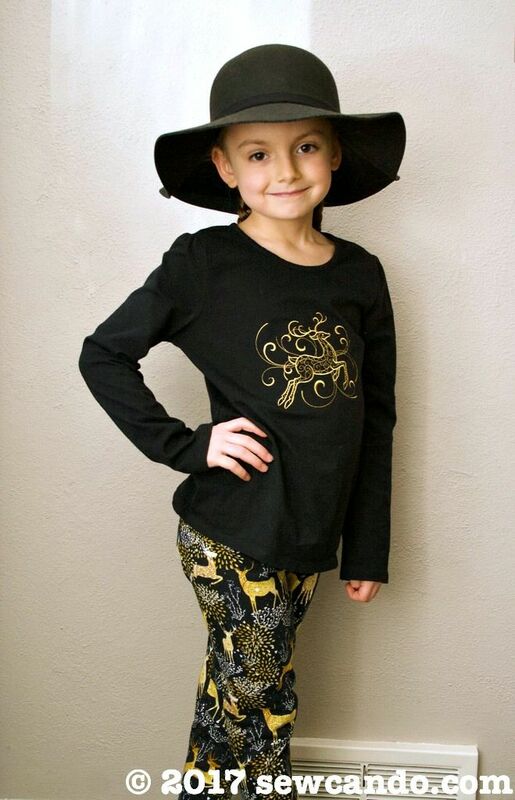 I've tried and bought a number of girl's legging patterns, but none was just right. This one is ideal for the rise, fit, waistband width and, most importantly, the leg holes. Big gold star. 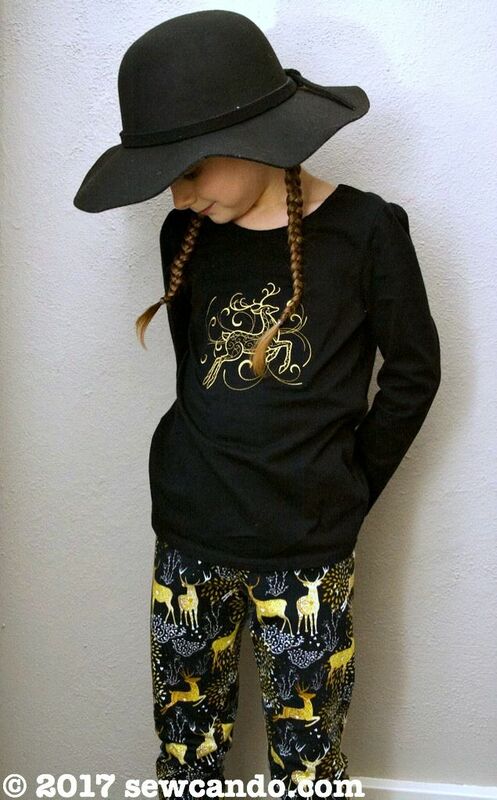 I was just a couple of inches short to make hers full length, so I ended up using some of the scrap fabric to make cuffs that gave us just the right amount of length and with the busy print you can't even tell. The shirt & leggings look so nice together - like an outfit I'd bought in a boutique instead of something I made myself for a lot less. The shirt alone was only about $5 total, which makes my thrifty self proud. I feel a DIY leggings & top addiction coming on for 2017. And I'm planning to share all my machine embroidery know-how in a series of upcoming posts so you can do 'em too and get in on the fun! 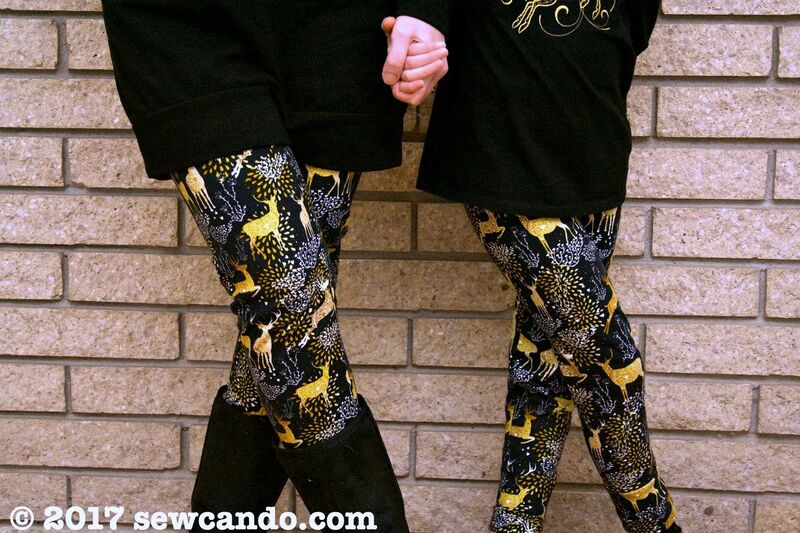 thanks so much for sharing about my leggings! Your outfits are adorable!! !